This is most likely the easiest way to obtain your visa to Vietnam without having to chase down embassies, consulates prior to your trip. The entry visa will be stamped on your passport on the arrival in Vietnam. With this type of visa, you only can enter the country by air. The different of Vietnam Visa on Arrival with other countries is that you have to be Approved for entry visa before you travel. With this Visa Approval Letter the airlines will allow you to flight to Vietnam. Visa on Arrival is applicable for both Tourist and Business Visa. What to do with a "Visa on Arrival"? After we receive your information and your payment for our service, we will get a Visa on Arrival Approval letter for you from the Vietnam Immigration Department. After obtaining the Approval Letter, we will send you via email. Your information will also be sent to Immigration checkpoints at Vietnam International Airports (Hanoi, Ho Chi Minh City, Danang, Nha Trang). When you land at an airport, the Immigration officers will check your Approval letter with your information. Then the entry visa will be issued. You are also required to fill the Application form with photo attached and pay the stamping fee as well. Vietnam Visa Code or Vietnam Visa Approval Code is a legal document granted by Vietnam Immigration Department. Vietnam Visa Code is suitable for travelers who entry Vietnam by land or by sea. 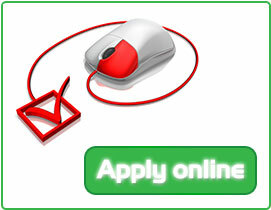 You can apply the Vietnam Visa Code through EVietnamvisa online application system. We work with the Vietnam Immigration Office to issue your Vietnam Visa code. Then, they will fax your Vietnam visa code to the Vietnam Embassy or Vietnam Consulate in the country you are living or staying in where you just bring your passport to receive the entry visa to Vietnam. Is it alright to arrive by air with this visa? Can I arrive by land with this visa? Is it alright to enter Vietnam by sea with this visa? If I apply for a Vietnam visa on arrival, do I have to go to the Vietnam Embassy near my place? Do I have to pay for the stamping fee? Which service is generally faster? Where can I get my visa stamped?